If you are looking to buy a modern hatchback that has excellent handling and an engine that packs a punch, then you will love the Peugeot 208 GT. Not only does it have a 1.6 litre turbo engine, but it is C02 compliant and has ton of on-board toys. 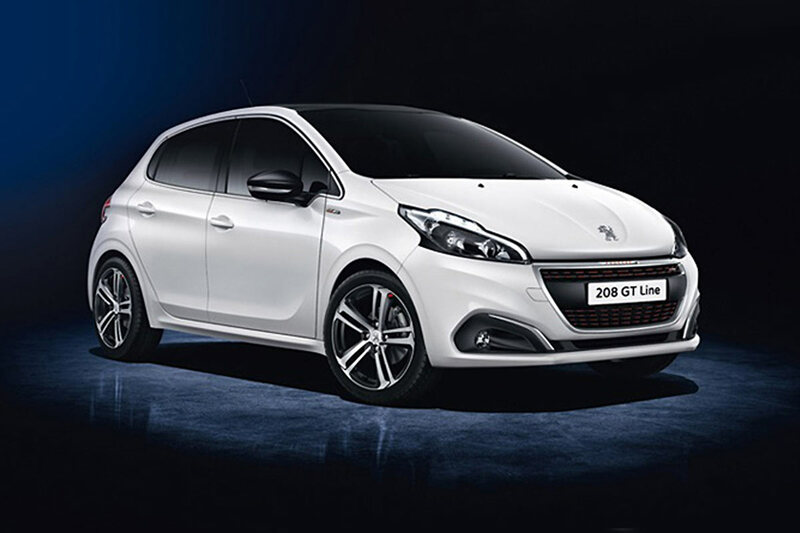 The Peugeot 208 GT is the successor to the ever popular Peugeot 205 series and has a completely new and updated style. It is considered a “hot hatch” which means that it comes with higher performance and a sportier look. With the 1.6 litre, four-cylinder, turbo engine, it packs a punch. The petrol engine has a 6KW power which can jump up to 25Nm with the torque. It isn’t an incredibly fast car but it is much quicker than its competitor counterparts. Some would say that the car has more of a cute look to it, but it mostly looks tough. With the recent revamp, this Peugeot got a restyle that gives it a sportier look. It has sleek lines, beefier protective sides and even a rear spoiler. All of the overhangs on the car are short and it comes with the classic button nose style – the tires are 17 inches. When buying a car with a sportier touch, you want to make sure that the sound of the car matches the performance output. Luckily with the Peugeot 208 GT, the car can really growl and you will most probably end up revving it just to hear the sound. The interior feels high-quality, it has excellent headroom and surprisingly enough, there is a decent amount of legroom in the back. The style of the interior is very sleek with proper lighting and matching accents. It has natural steering, the gear-shifting is almost effortless and the throttle is really light. Due to the revamp, the car can get around 94.2mpg on a combined cycle, making it extremely efficient. The car can run in and around the thirty-eight hour mark without any fuel refills. This gives it the longest distance that a hot hatch can go on one single tank of gas. If the above isn’t quite enough, then let us tell you that the 208 GT comes in either ice grey or silver with a textured finish. It also comes in seven metallic paint options and two solid colors. This makes it one of the easiest cars to like because it has features that will appeal to even the pickiest of drivers. The hot hatch also comes with a ton of tech gadgets! From being able to sync up your smartphone to the information system to allowing you to access apps and features on your phone, it also comes with assistance systems like a reversing camera and a city brake feature. The city brake feature will automatically engage the brakes if the car detects that a low-speed collision is impending. So with high-performance, a stylish interior and the fun of a full-fledged sports car, there’s really no reason not to buy the Peugeot 208 GT. As a part-time freelance writer, Bader Hamdan covers topics related to automobile and engineering. A writer by day and a reader by night. Outside of work, he enjoys travelling and spending time with family and friends because work and life balance is important.